Someone asked me the other day about the term “turnover.” I, of course, told them I prefer apple turnovers, but peach turnovers, are also…well…pretty peachy. They didn’t think that was nearly as funny as I did, so I told them to go on YouTube and be sure to check out a blooper/mishap, or two…or three that by now, thanks to living much of my life on camera,…millions have seen. Everyone likes to laugh at my expense, but that too, is all in fun, and on a more serious note, I know well how the term turnover applies to fishing. In fact, if it weren’t for a complete turnover twice a year, most lakes and ponds would become stagnant because of a continued buildup of oxygen-depleted water. As water temperatures drop, water becomes heavier and denser. Maximum density is reached when the water is 39.2 degrees F. Colder than that, water becomes lighter. That’s why ice floats on the surface. If water didn’t become less dense as it freezes, the ice would settle to the bottom of northern lakes and destroy aquatic life. To trace the cycle: In the fall of each year, water temperatures drop and the heavier water falls to the bottom. 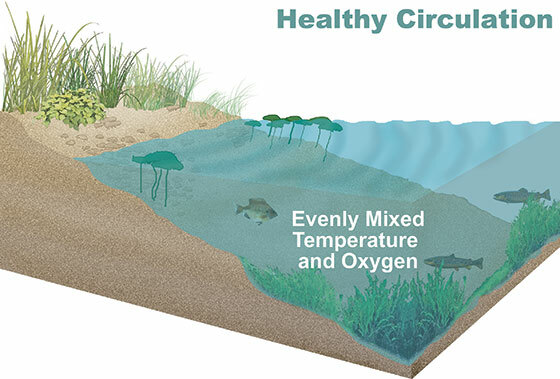 This forces the bottom waters to the top, where they once again become re-oxygenated; when this happens, the lake is said to “turn over.” During this brief period, all levels of the lake have enough oxygen to support life, and bass could be scattered throughout any of the levels. If the lake is far enough north for the water to reach 39.2 degrees or colder, the 39.2 degree-water will remain on the bottom and ice might coat the lake. The water in the intermediate levels will range between 39.2 degrees and 32 degrees. In the spring, the process reverses itself. The ice melts, and as the surface waters warm to 39.2 degrees, they become heavier than the water below them and sink to the bottom, once again forcing the bottom water to the top. The sun continues to warm the water and many lakes then become stratified. On the basis of water temperature, three distinct layers form in a lake. The cold bottom layer is known as the hypolimnion. The warmer surface region is called the epilimnion, and there is a transitional zone between the two called the thermocline. 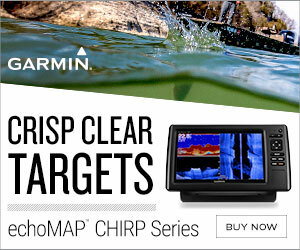 By definition, water temperatures in the thermocline change 0.5 degrees for every foot of depth. The thermocline is a relatively narrow band of water and can be found easily with a thermometer because of this rapid temperature change. 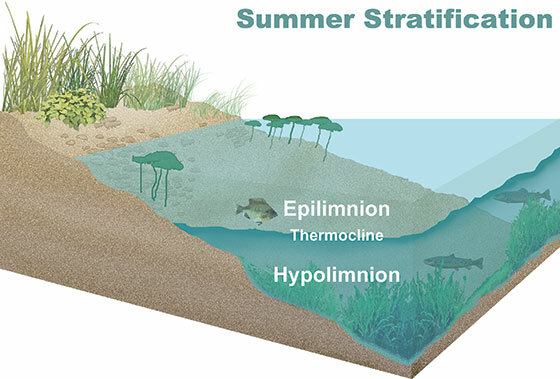 During the summer, the hypolimnion or bottom layer becomes devoid of oxygen; and therefore, fish cannot penetrate this zone. That means all the fish in the lake will be in the upper surface zone (epilimnion) or in the transitional zone (thermocline). Temperature causes this phenomenon, but oxygen is the governing factor concerning the distribution of fish. Again, turnover is one the many phenomenon where nature takes care of its own. Without turnovers many lakes would become stagnant because of continued buildup of oxygen-depleted water. The sudden fall or summer turnover can sometimes throw a kink in our fishing plans, but understanding it can help make you a better angler.